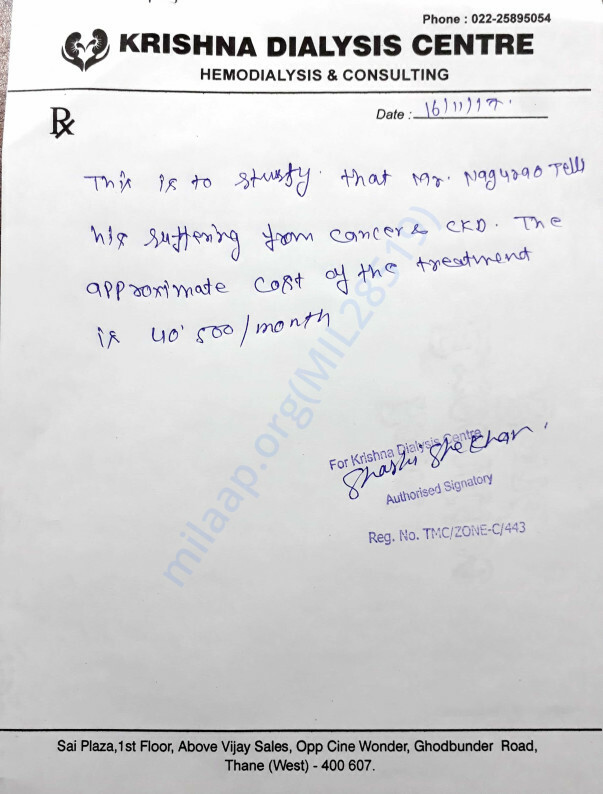 This patient Nagurao teli is diagnos Multiple Myeloma CANCER and KIDNEY FAILURE . He belongs to very poor family. He worked as factory worker. He can't afford their treatment cost because it is too much expensive for them. 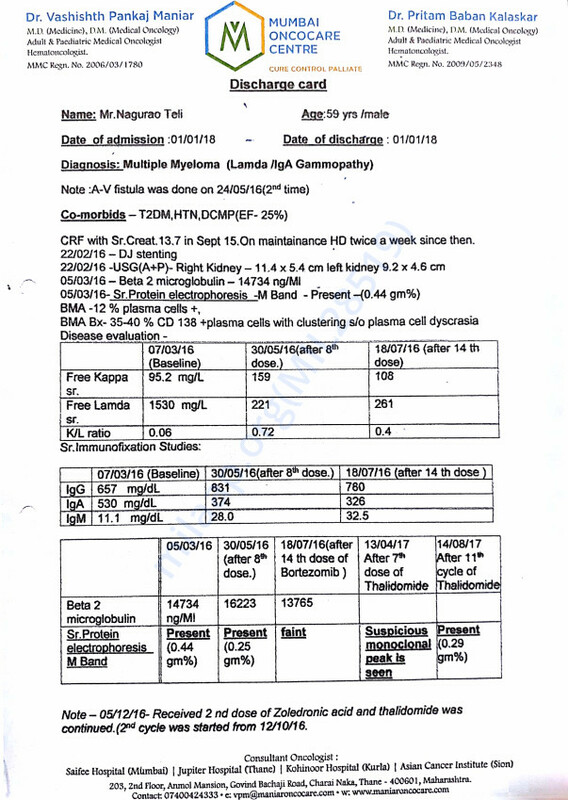 His yearly treatment cost for kidney is 4,860,00/- every year and for Cancer treatment cost is 200,000/- for 5 months. 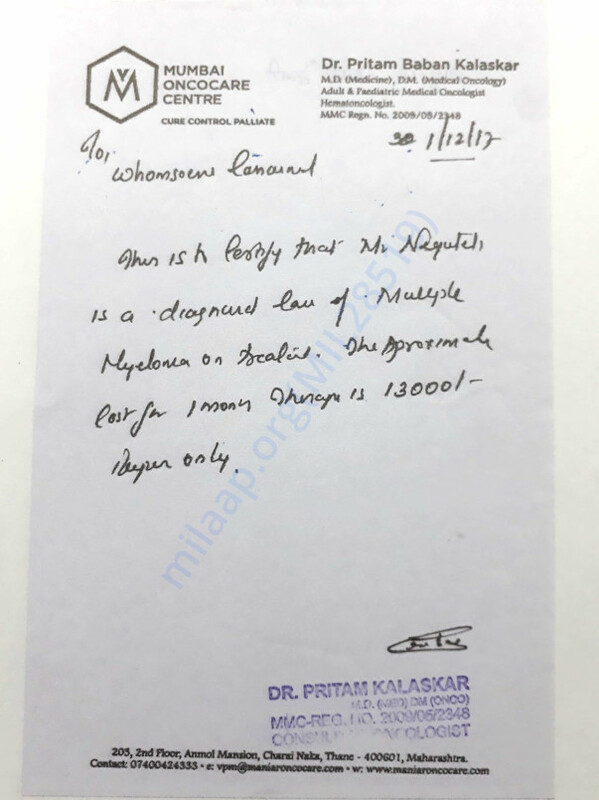 Medicine cost like 200,000/- rs.yearly. 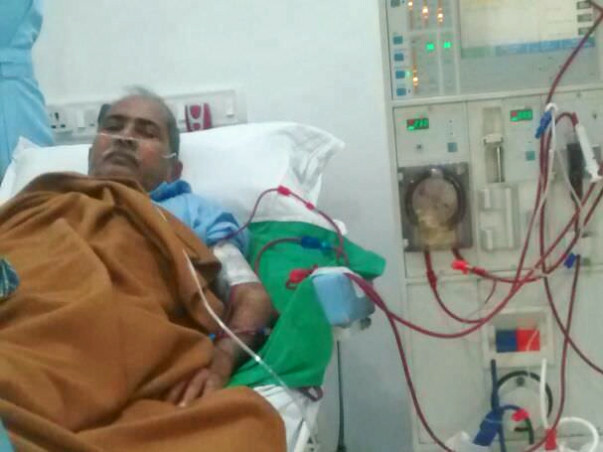 so it's a request to all of you please do charity for this patient because his life on risk. 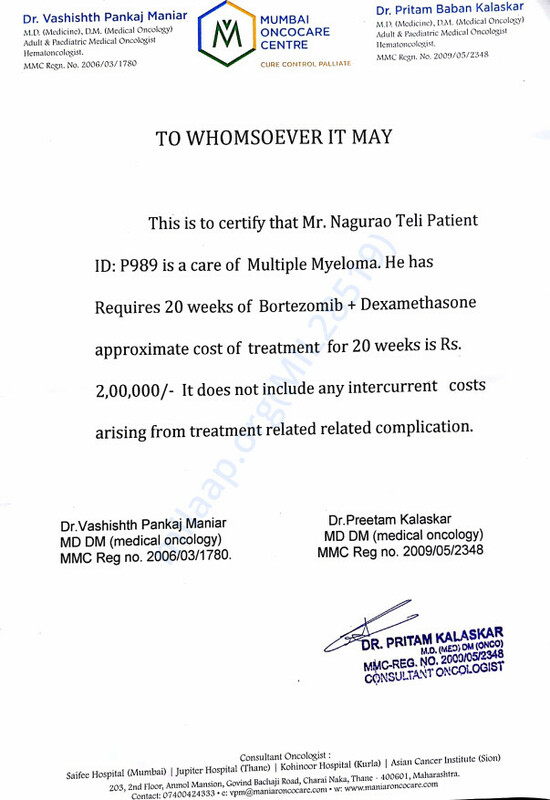 He is fighting these disease last 2 year now he is not capable to arrange their treatment cost. He has a son he earns only rs.8000/- per month. Patient's wife is house wife they all stay in rented house. So guys if you want to do some help then you can save someone's life. It would be a small contribution from your side to give few more days to live to the patients. Thanks to all even to read it.